With its weather-sealed, magnesium-alloy body, large optical viewfinder and sophisticated autofocus system, the D800E is a big beast. It weighs 1kg without a lens and 1.9kg with a 24-70mm f/2.8. Add telephoto and wideangle zooms and the weight and bulk increase rapidly. Only committed photographers will be happy to carry this much kit around all day. Nikon has been making SLRs for many years, and the D800E uses much the same basic control layout as the F5 35mm film SLR from 1996. It’s been tweaked and refined over many generations, and almost every key photographic control is at your fingertips and changeable with the camera to your eye. Autofocus is a phase-detection system with 51 points, which cover a wide area of the frame. It’s fast and accurate, and capable of tracking moving subjects during continuous shooting. 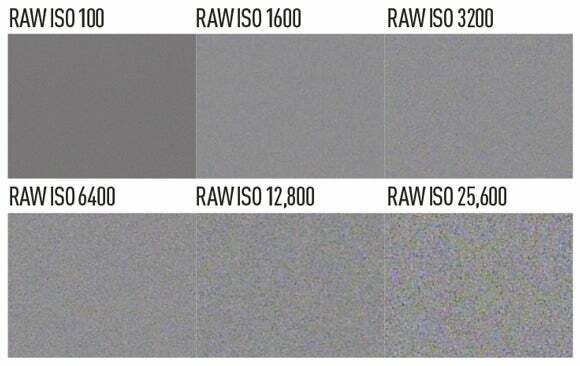 But it’s inherently not as accurate as the Alpha 7R’s contrast method. The D800E uses Nikon’s F mount, and is fully compatible with a vast range of lenses dating back to 1977 (even older lenses can be used with some modifications). The current range of Nikkor lenses is huge, ranging from extreme wideangle to ultra-telephoto focal lengths, and including such exotica as three perspective control (tilt-and-shift) lenses. Overall, it’s rivalled only by Canon’s EF-mount line-up for versatility. Among that line-up are some standout performers, such as the still-unrivalled 14-24mm f/2.8G ultra-wide zoom and the excellent 70-200mm f/2.8 VR II fast telezoom lenses. Those who want to travel a bit lighter are catered for by a range of premium f/4 image-stabilised zooms. For anyone willing to look beyond Nikon’s own lenses, plenty of third-party options are on offer, including premium manual-focus primes from Zeiss, and Sigma’s stunning recent 35mm f/1.4 and 50mm f/1.4 Art primes. Nikon also has one of the most comprehensive lighting systems, with a range of flash units with different maximum power outputs (and price tags). One nice feature of both the D800 and D810 is that their built-in flash units can be used as wireless commanders for off-camera flash, which simplifies setting up flashguns for supplementary lighting in the field. 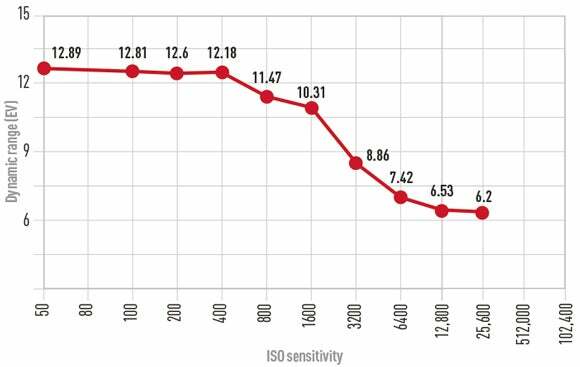 At its base sensitivity of ISO 50, the D800E easily resolves beyond 4000l/ph. This holds up pretty well to ISO 1600, then drops progressively at higher ISOs. Our tests also revealed shutter-induced blurring at speeds from 1/40sec to 1/4sec, which at its worst reduces resolution to about 3400 l/ph in the middle of this range. 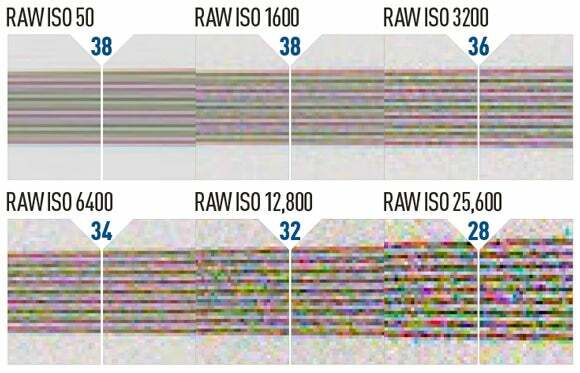 Our dynamic range results for the three cameras are also much more similar than different. The D800E shows a very impressive range of 12.9EV at base ISO, which only dips below 12EV at ISO 800. Once the sensitivity is pushed up to ISO 6400, though, the range drops below 8EV, which means shadow regions will get visibly noisy. Beyond this things deteriorate further, and these settings should only be used when necessary. These grey noise patches continue the same theme as above – there’s just not much difference between the three cameras on test. Low ISOs are incredibly clean, with just a hint of noise creeping in at ISO 1600. Chroma noise becomes progressively more visible as the sensitivity is increased, but it’s still not overly bad at ISO 6400. However, ISOs 12,800 and 25,600 do look noisy, so are best used for small prints or output sizes.